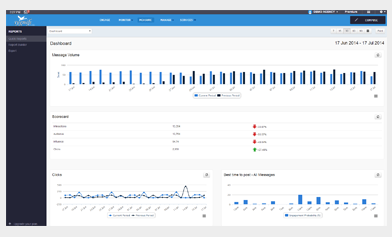 SmartSocial makes it easy to build presentation-ready reports with detailed analytics. 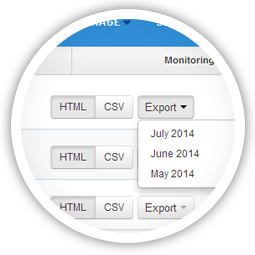 Use our drag-and-drop report builder and custom layouts to create meaningful reports from a library of over 200 modules. 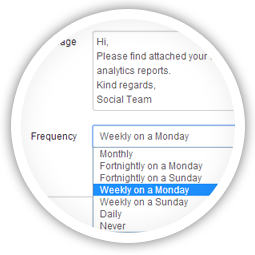 Stay in the loop with scheduled email reports. 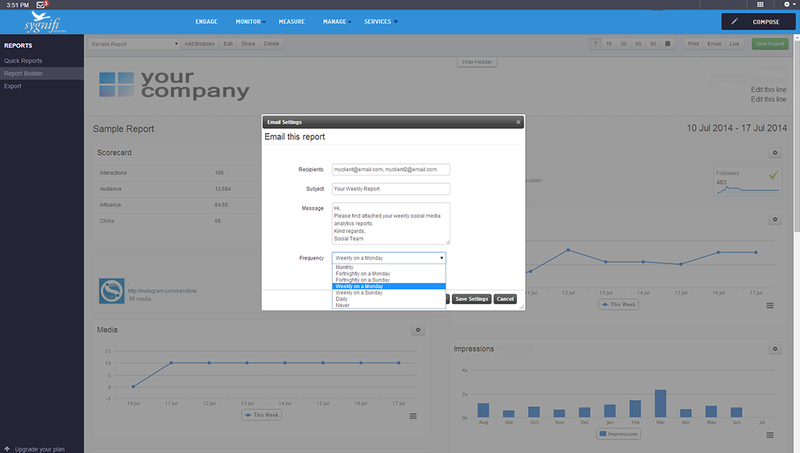 Use the report-builder to create custom layouts for your reports. 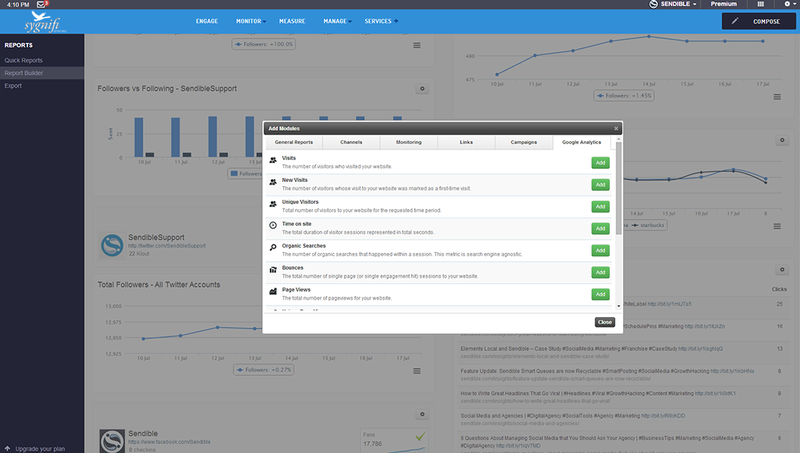 Then, configure SmartSocial to automatically distribute reports to yourself and team members on a daily, weekly or monthly basis. 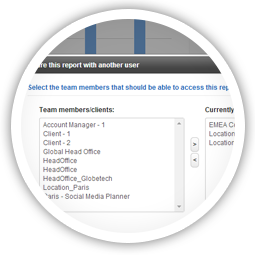 Share reports with team members for group collaboration. 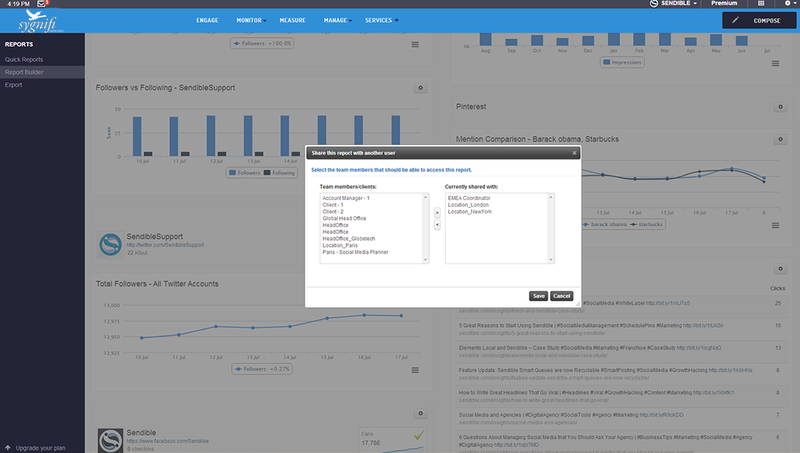 Create beautiful looking reports that can be shared with other members of your team. Each report has a unique URL that can be shared for real-time reports. 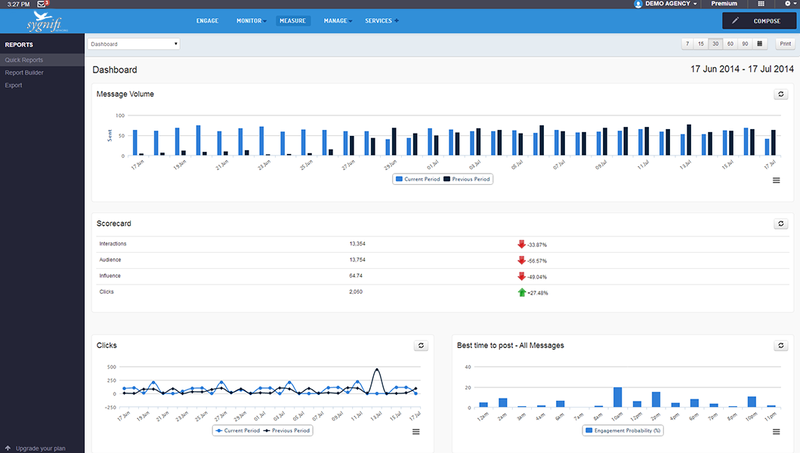 SmartSocial saves you time by automatically tracking activity on each of your social media profiles. Best of all, the raw data can be exported to CSV for custom reporting. Google Analytics is baked right into SmartSocial, enabling you to track the effects your social media campaigns are having on visits, page views, popular content and geographical data.